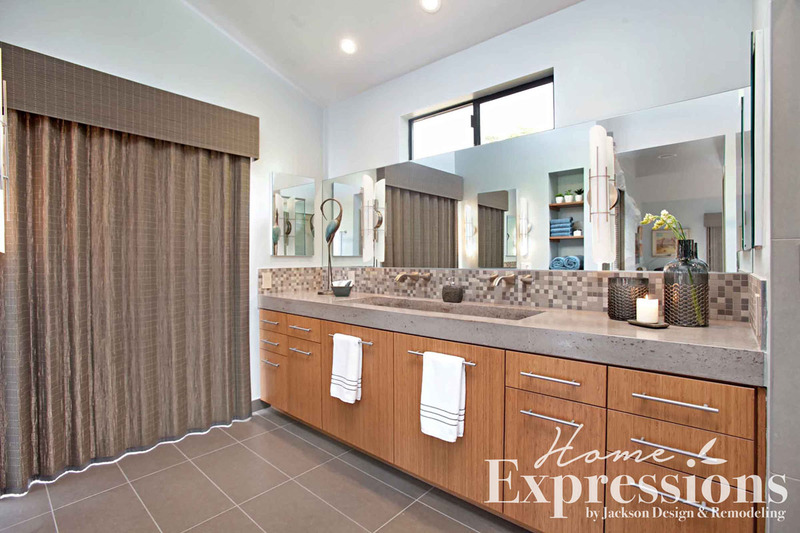 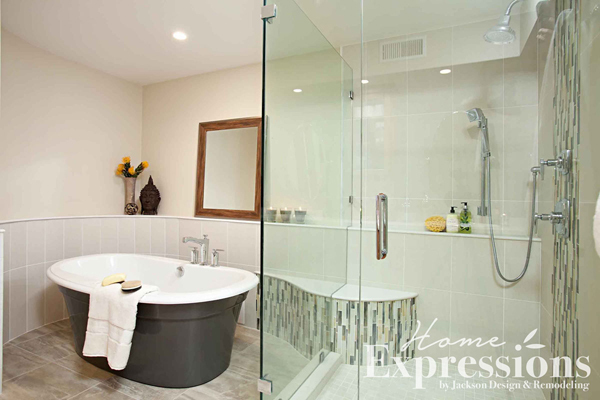 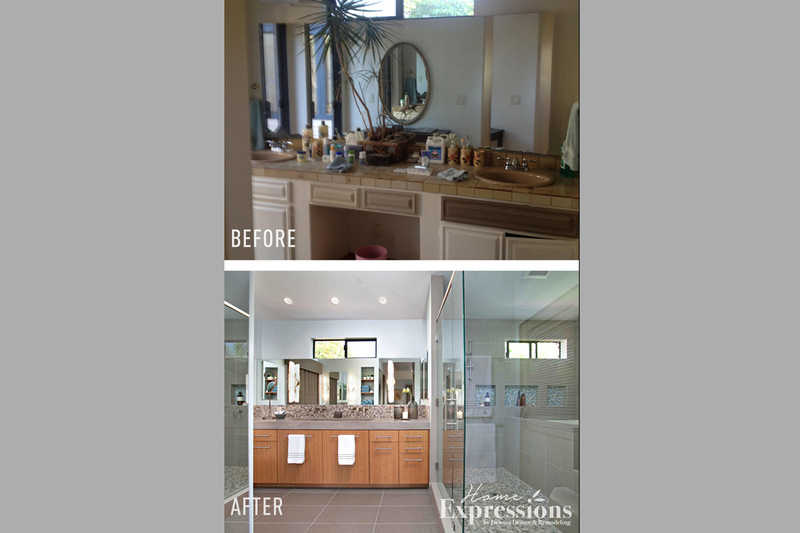 This master bathroom with an Asian design influence evokes elements of nature. 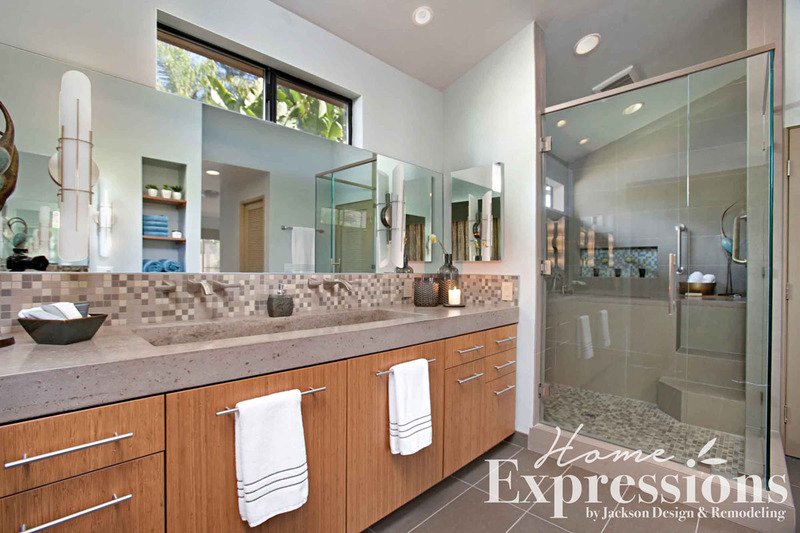 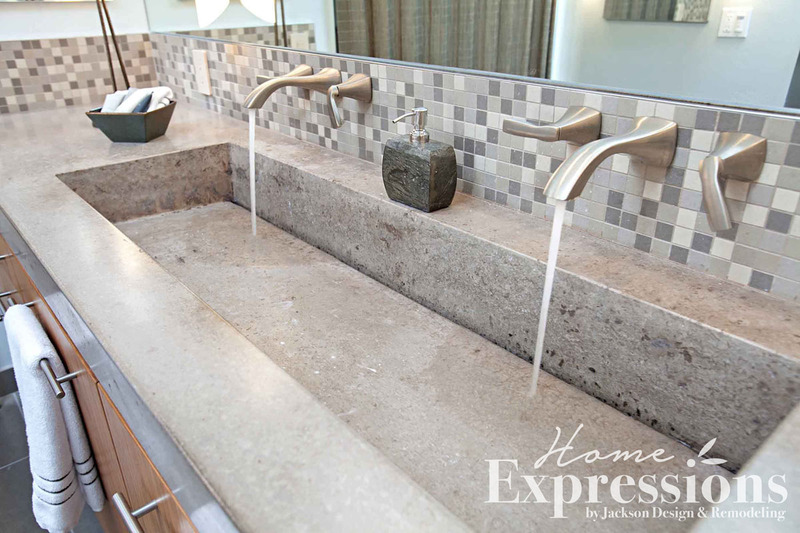 Bamboo cabinetry is balanced by a striking trough sink, concrete flooring and countertops. 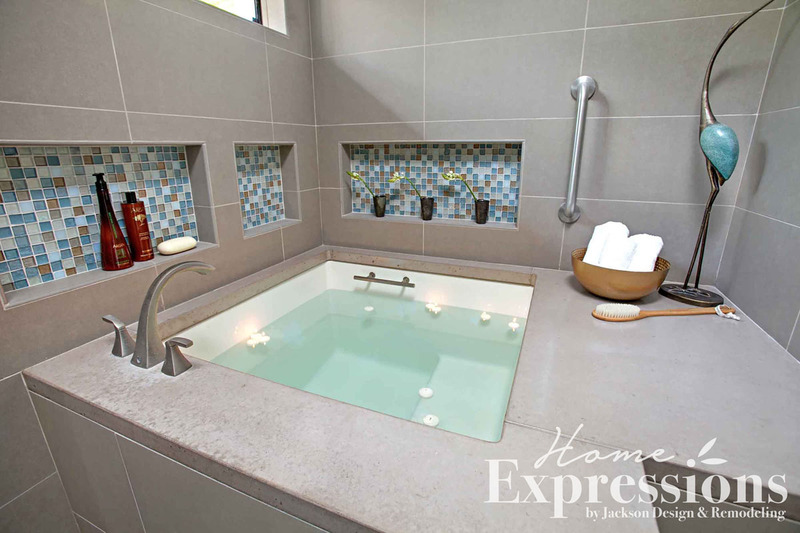 Niches in blue and teal tile, reminiscent of a peaceful blue sky, surround a tub inspired by Japanese soaking rituals.